You have to see these views! Explore & discover the entire condo unit by clicking on the link to the 3D virtual walk-around, look deeper than a virtual tour. 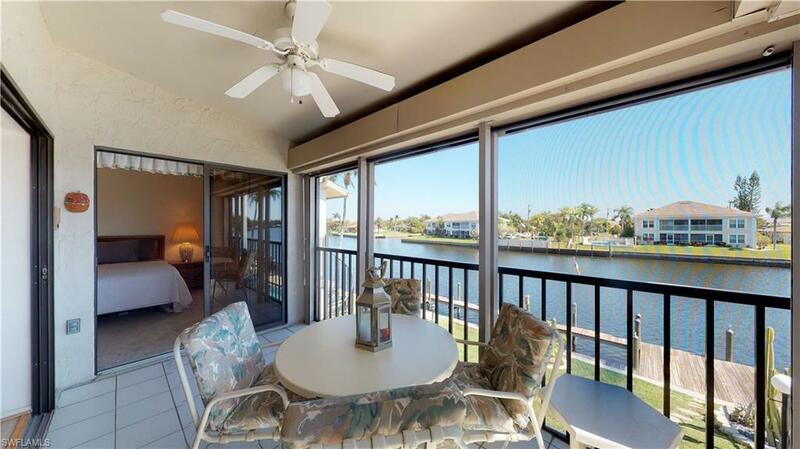 This ready to move in, turnkey, 2nd floor waterfront condo with storm protection is located on the 195 ft wide section of the Rubicon Canal. The interior of the unit has a vaulted ceiling & soothing views overlooking the canal & the solar heated community pool. 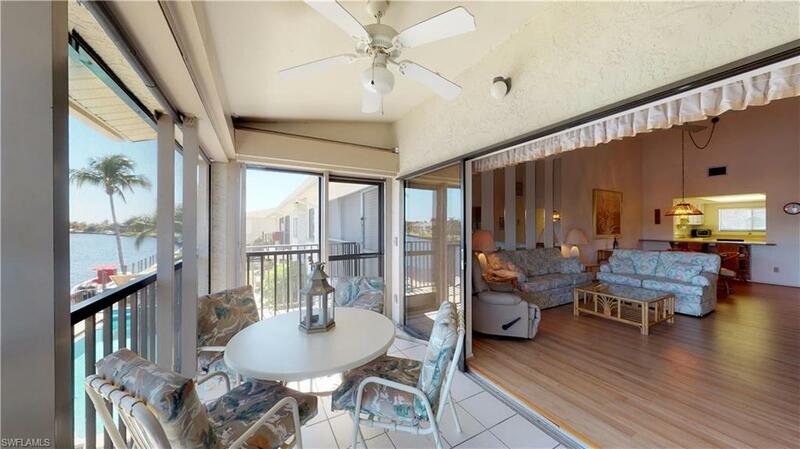 A disappearing double slider leads out to your balcony which has a spiral staircase leading down to the pool area for outdoor waterside lounging & entertaining. 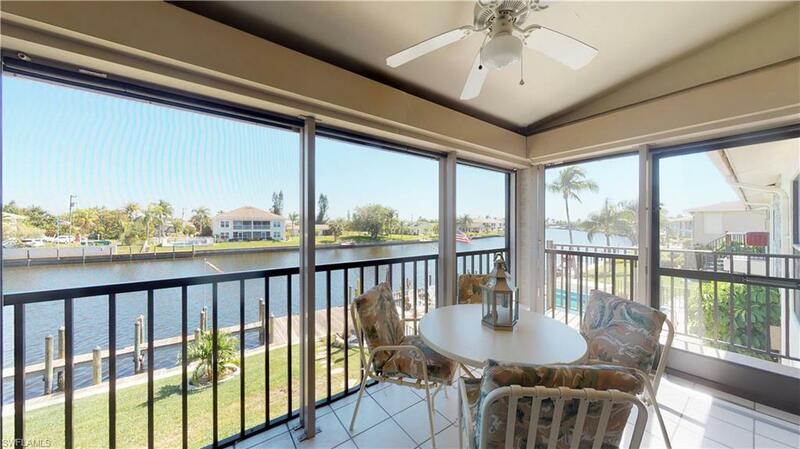 The master bedroom has newer carpet, views of the pool & canal, room for a king size bed & an updated vanity in the ensuite bathroom with a walk-in closet & access to the lanai. Interior also has a wet bar & inside laundry room. Covered carport with one assigned parking space in front of the unit along with another small storage space is included. HVAC was replaced summer of 2007, plumbing repipe in 2002. Building updates in 2017 include exterior paint, spiral staircases, lanai screen doors, frames & screens. This is NOT a 55 plus community, there are 10 units in the sole building. 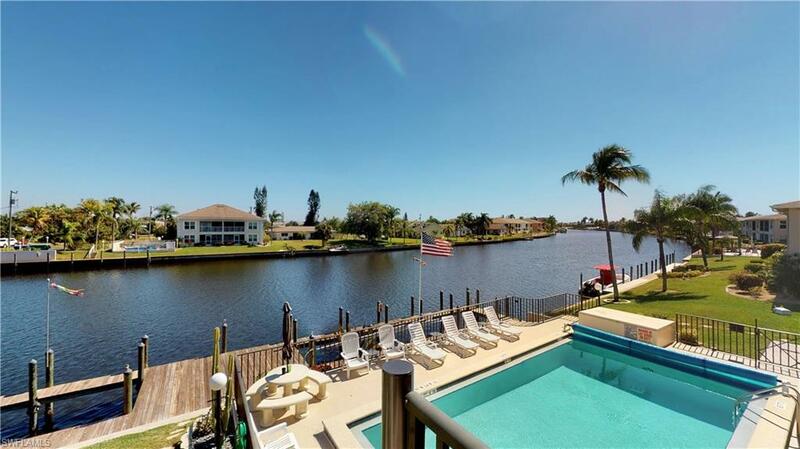 Close to downtown Cape Coral. Listing courtesy of Robert Iafrate of Age Realty, Inc..